That’s an impressive collection…! Wow. 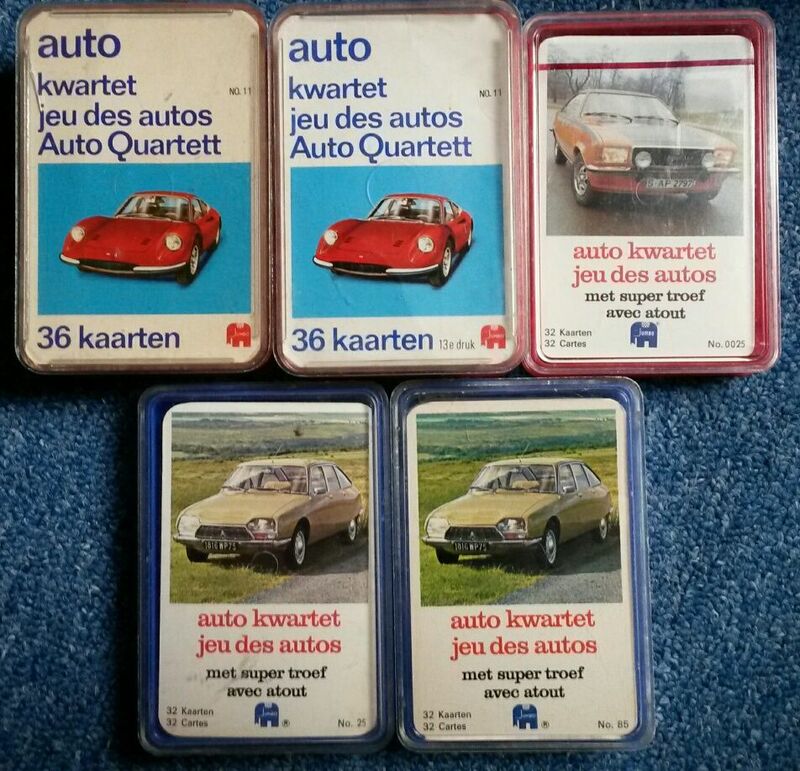 15e druk 2a (Opel Rekord) is correct, I will add / correct the data. Thank you! 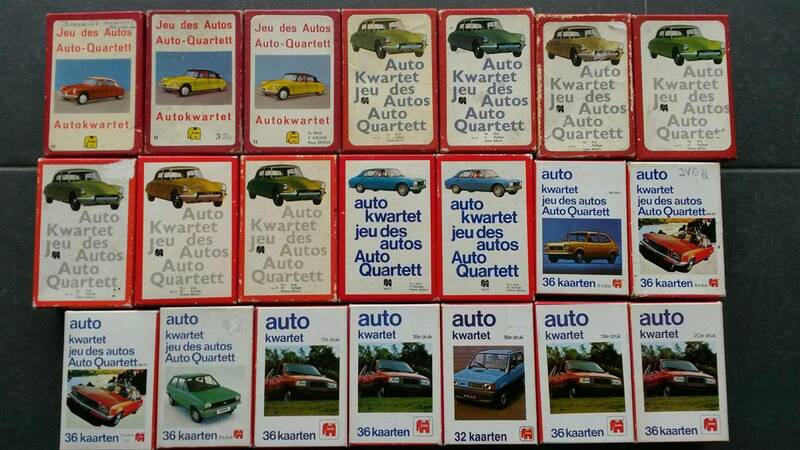 And these are the ones that I have in ’normal‘ quartettbox. Note that the 13th print is in a plastic box as well. It is the same format like the thick Piatnik boxes. But with the Jumbo logo on the bottom of the box. 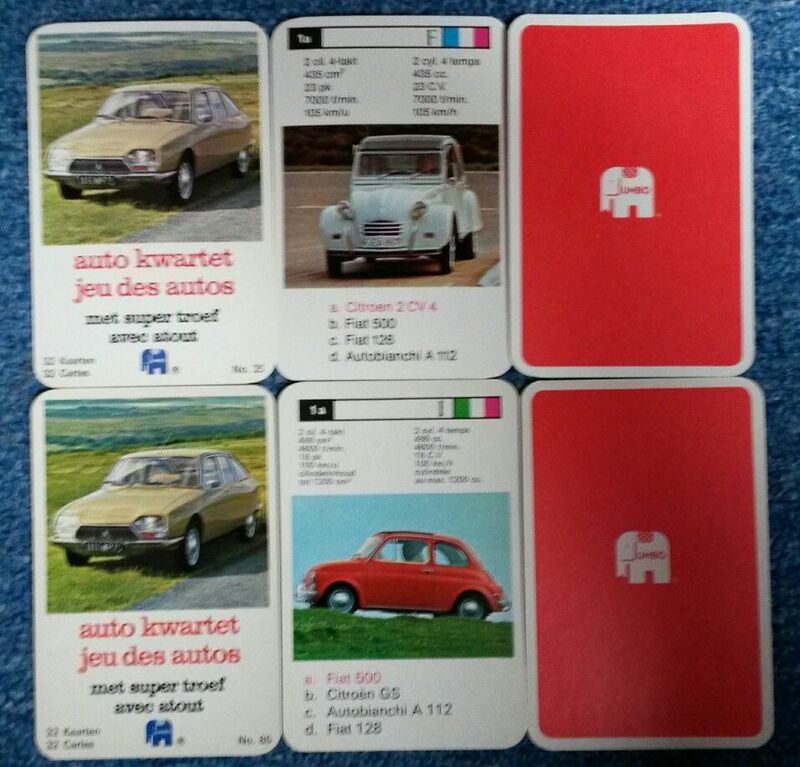 The two games with the Citroën GS have a different number in the bottom, 25 and/or 85 and have a different card set. A bit strange to me why they didn’t change the front card as well. 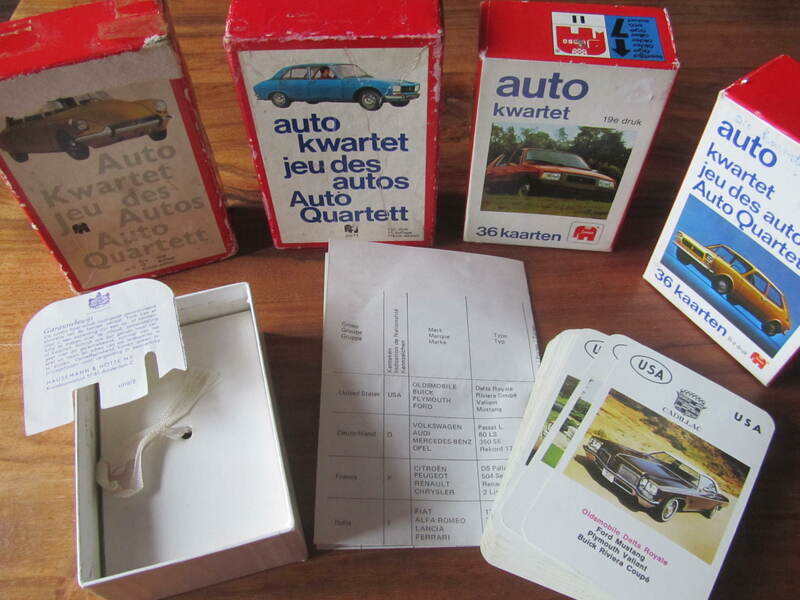 The Citroen games are of course versions of fxs 52622 Autos: number 25 = 1973 (Mercedes S), number 85 = 1971 (Citroen GS). Number 0085 could be 1974 (Opel Commodore). Note the blue elephant versus the red one…! 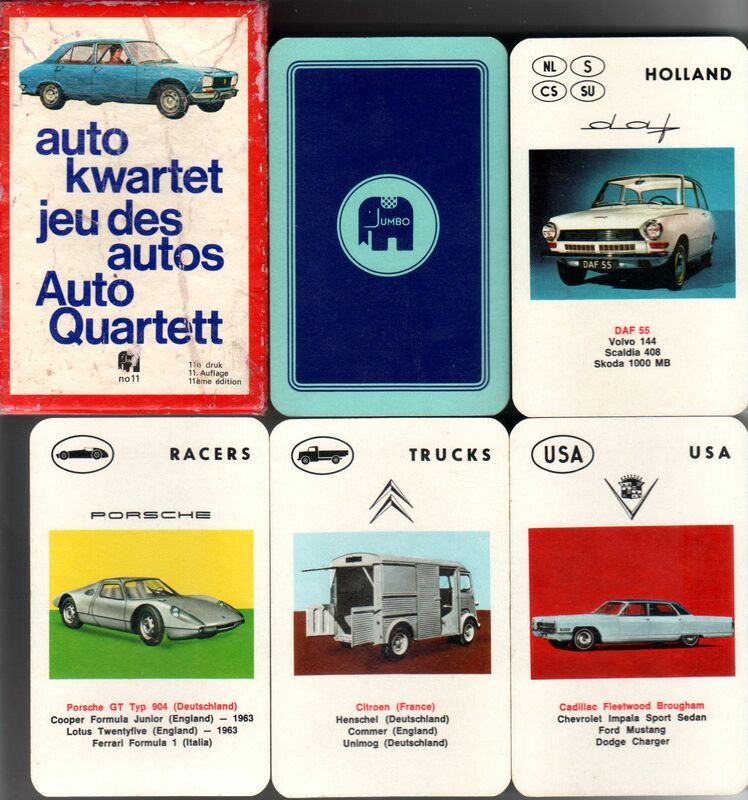 It is also a bit weird that the 18th print (with the Fiat Uno) is in between the 4 issues with the Visa, and that this one has 32 cards on the box, unlike the Visa issues that have all 36 cards mentioned.